Scroll Down for those shows and to DONATE. 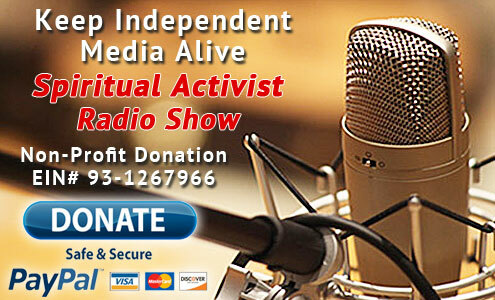 The Spiritual Activist Radio Show is a community supported non-profit project sponsored by the Charitable Partnership Fund so this is also where you can show your support and keep free independent media alive and well, along with the First Amendment which is under attack daily. We have cut ourselves off from the very nature around us that supports us and we need to reconnect. Without an evolution of consciousness…this will not happen. The answers we seek lie within. So we all need to be a “Spiritual Activist” which simply means that we need to take action in the world around us using a higher level of awareness. Our world leaders, sorry to say, are on legal and illegal drugs and for the most part are sociopaths making decisions about our lives. It’s time to Wake Up from THEIR madness! You are not alone when you get this feeling that something amazing is happening even in the face of all the chaos and destruction in our world. Our strength lies in our ability to come together with other like-minds and together we can and will change the world…Join Me and millions of others. 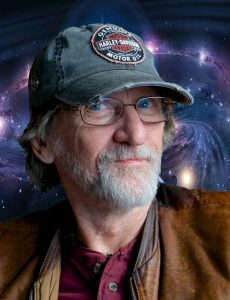 Here are some past articles that are not meant to tell you “What” to Think, they are meant to simply get you “To” Think once again about situations that we ‘thought’ we had the answers to. Have We Ever Been Alone? Visit the Blog and Look under Rahasya and Rahasya Uncensored for many other informative articles. Our goal is to bring communities together and give us a place to have a common voice for our events, ideas, and services. We deliver information about mind, body, mental, and spiritual health to our readers for free. Build your business success with printed media, email, video and online advertising designed for your target audience! Sign up to receive our newsletter right to your inbox! © 2019 Lotus Guide. All Rights Reserved. Site by Dk Web Design.